UFC middleweight champion Michael Bisping called Georges St-Pierre “a little b*tch’ for taking a leave of absence from MMA and would like his second title defense to be against him. Michael Bisping’s title run might end up being the strangest in modern UFC history and he hasn’t even defended the belt yet. Since Bisping won the title off of Luke Rockhold at UFC 199, the debate over who his first title defense should be against has been vigorous. 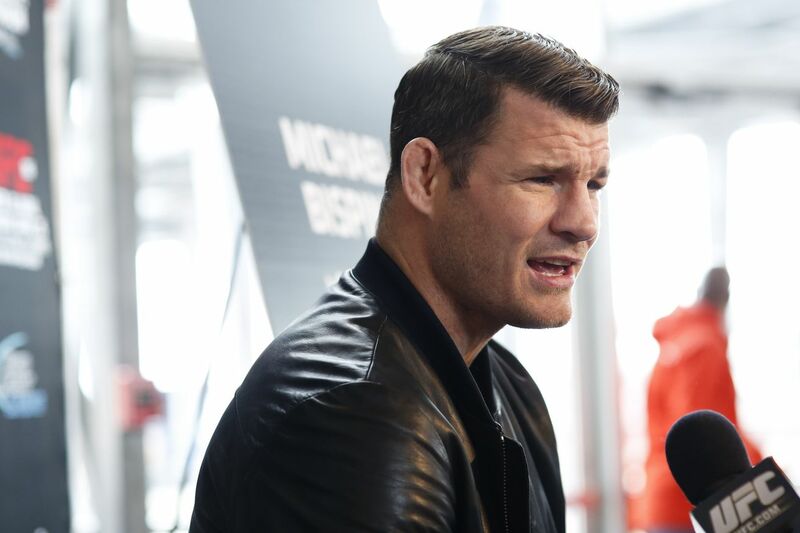 Contenders have been coming out of the woodwork trying to get a crack at Bisping’s middleweight championship with Rockhold, Chris Weidman, Anderson Silva, Jacare Souza, Yoel Romero, and Dan Henderson all calling Bisping out. So far Henderson appears to be the front runner for the title shot, with Bisping adamant that he wants to avenge his previous loss to the MMA legend and a groundswell of fan support for giving “Hendo” one last crack at a title. However last week, former UFC welterweight champion Georges St-Pierre officially announced his intention to return to the UFC after a nearly 3 year layoff, saying that his first choice for his return would be a title fight against Michael Bisping. After winning a controversial split decision over Johny Hendricks in November of 2013, St-Pierre famously walked away from MMA citing that he needed time off from the rigors of fighting. He would also later go on to say that he was very unhappy with the PED situation in MMA at the time and that that played a factor in his reticence to make a comeback. When the UFC partnered with USADA to crack down on PED usage in the sport, St-Pierre commented that the changes were a good step towards getting him to return.